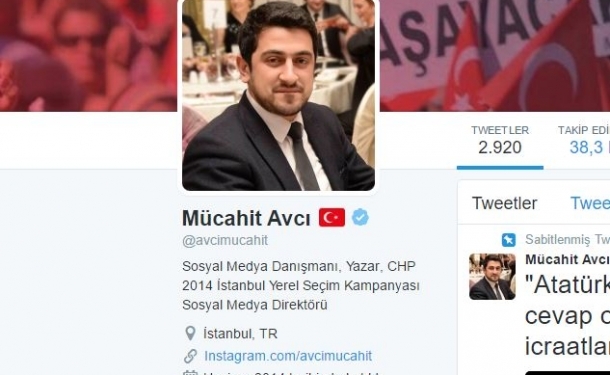 Mücahit Avcı, a social media expert working for the main opposition Republican People’s Party(CHP), was detained on Monday due to a Twitter message he posted about twin bomb attacks that hit İstanbul on Saturday. Two bombings killed 44 people and wounded more than 160 outside Vodafone Arena in the Beşiktaş district of İstanbul on Saturday evening. Several hours after the attacks Avcı posted a message from his personal Twitter account in which he implied that Turkey’s National Intelligence Organization (MİT) might have been involved in the attacks. He was detained on Monday due to his tweet. In the meantime, Turkey’s Interior Ministry also released a statement on Monday in which it said that 235 people have been detained across Turkey on charges of involvement in activities on behalf of the Kurdistan Workers’ Party (PKK) terror organization and disseminating its propaganda on social media. This article originally appeared in Turkish Minute on Dec. 12.